Honoree Congresswoman Maxine Waters attends the Black Girls Rock! Awards at the New Jersey Performing Arts Center on Saturday, Aug. 5, 2017, in Newark, N.J. 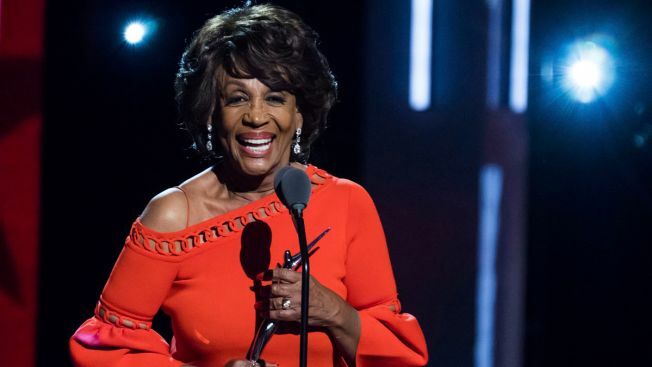 Fiery Democratic U.S. Rep. Maxine Waters was welcomed like a contemporary rock star when she entered the 2017 Black Girls Rock Awards, as the audience screamed loudly and gave her the night's rowdiest and wildest applause. Waters was one of the honorees Saturday at the annual event honoring black women in fields such as entertainment, politics, science and social justice. The 78-year-old matched the energy of the audience at the New Jersey Performing Art Center in Newark with a punchy and moving speech, which featured her catch phrase "reclaiming my time." "I want you to know, if it was not for the love and respect shown to me by black women, those right-wing ultra conservatives ... they would have me believe I'm too black, I'm too confrontational, I'm too tough, and I'm too disrespectful of them," she said. "But now I know I'm simply a strong, black woman." "I don't care how big you are, I don't care how high you are, if you come for me, I'm coming for you," Waters added, earning more loud applause. 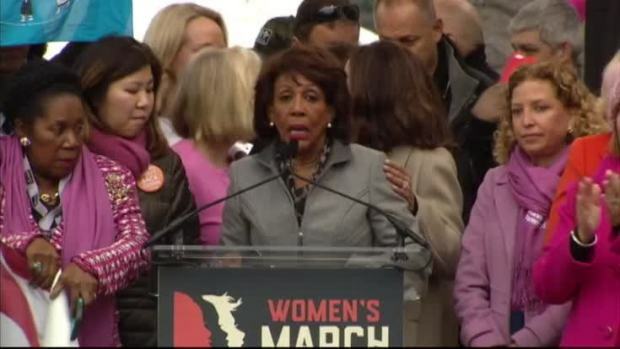 "We are here rallying and protesting against your presidency," said Maxine Waters, U.S. Representative for California's 43rd congressional district, at the Washington, DC, Women's March. "Your words, your actions have shown us that you don't respect us," she said to President Donald Trump. Videos of the California congresswoman, who has been critical of Republican President Donald Trump, have become a viral success on social media, including one where she insisted that she was "reclaiming my time" at a recent congressional hearing. She's struck a chord with millennials and has even earned the nickname, "Auntie Maxine." Waters was joined by a top notch group of honorees at the BET event, including iconic singer Roberta Flack; "Insecure" creator and Golden Globe nominee Issa Rae; Grammy-winning soul singer Solange Knowles; Wall Street powerhouse Suzanne Shank; "black-ish" actress and Harvard student Yara Shahidi; and community organizers Derrica Wilson and Natalie Wilson of the Black & Missing Foundation. Oscar-nominee Taraji P. Henson hosted the multi-hour event. Flack, known for hit songs like "Killing Me Softly with His Song" and "Feel Like Makin' Love," was wheelchair bound but recited a speech from paper that won over the audience. "Love is a song. Each of you has a song in your heart," 78-year-old Flack said. "You keep singing that song." R&B singers India.Arie and Tyrese smoothly sang Flack and Donny Hathaway's popular 1970s duet, "Where Is the Love." Other performers at the show, to air on BET on Aug. 22, included SZA, Ledisi, Anthony Hamilton and Tasha Cobb. Each of the celebrants were inducted by men, including "black-ish" actor Anthony Anderson, soul singer Maxwell, "Insecure" star Jay Ellis and actor-singer Jussie Smollett. Knowles — who won her first Grammy Award this year for her critically acclaimed album celebrating black pride, "A Seat at the Table" — called the award "the ultimate honor." "Black women make me feel invincible," she said.